Follow the tips below and your new pet is sure to fit right in! This article is sponsored by Petco. It does not reflect the work or opinions of the NBC OTS editorial staff. To learn more about Petco, visit Petco.com. As any cat or dog adopter will tell you, rescuing a pet from a shelter is an incredibly rewarding experience. But before you bring your new four-legged family member home, it’s important to prepare your household for the new arrival. In addition to endless cuddling, playing and companionship, a new pet also means increased responsibility. As an animal’s primary caregiver, their wellbeing will depend on you. Fortunately, there are a few simple things you can do prior to a new pet’s arrival to optimize their health and happiness. That’s why we spoke to Dr. Whitney Miller, Director of Veterinary Medicine at Petco. Follow her six essential pet planning tips and your adoption journey will be as smooth as it is enriching. Like anything in life, the key to a successful pet adoption is preparation. And that begins with stocking up on all the right items specific to your particular pet’s needs. From toys to treats, dishes to ID tags, bedding to carriers, you’ll want to make sure you’ve purchased everything that will keep an adopted pet happy and healthy. This is especially true for food, where knowing a pet’s health history and dietary needs will help you ensure they’re getting the nutrients they need. While caring for a pet is a full-time commitment, you’ll need a team of trusted professionals to give the care you can’t always provide. To do so, you’ll want to start early, building relationships with a network of veterinarians, trainers, groomers and walkers that both you and your pet can rely on. 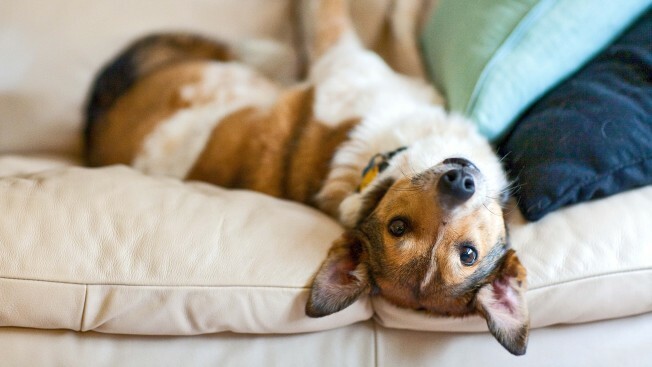 Since pets are inquisitive by nature, your new dog or cat is bound to explore his/her new digs. That’s why it’s important to keep anything hazardous or valuable out of paw’s way. Dr. Miller’s pet-proofing suggestions include: identifying and removing any toxic houseplants; using child safety locks on cleaning supply closets; unplugging electric cords to prevent any chewing-induced shock; creating a designated sleeping area; and in the case of cats, keeping washing machine and dryer doors closed as kittens tend to creep inside. No matter how much you care for your new pet, their lives are bound to be as unpredictable as ours. Which means injury and sickness can strike when we least expect it. Dr. Miller recommends starting a rainy day fund to ensure that an unexpected veterinarian visit won't break the bank. As stated earlier, you’ll also want to create designated sleeping areas. Dr. Miller says this gives a pet his/her own area in the household. Perhaps no one in your family is more excited about a new pet’s arrival than your children. But while pets and children get along very well, it’s important to establish a few playtime rules first. “Always supervise play and interaction between children and pets,” Dr. Miller advises. “Gentle hands with no pulling, pushing or leaning are best. Teach children to respect your new pet early on, and when playing always have a toy for the puppy/dog to put in its mouth. Small children should not attempt to pick up or carry your new pet. If any of the children’s skin is touched by the pet’s mouth, stop playtime to give the pet a break. Keep the play sessions short and fun to prevent over stimulation and encourage positive play." To encourage safe, happy and healthy play, Dr. Miller also strongly advocates working with a trainer and involving your kids in the training of a new pet. With more than 50 years of service to pet parents, Petco is a leading pet specialty retailer that focuses on nurturing powerful relationships between people and pets. Visit your local Petco for the best products, services, advice and experiences that will keep your new pet physically fit, mentally alert, socially engaged and emotionally happy.